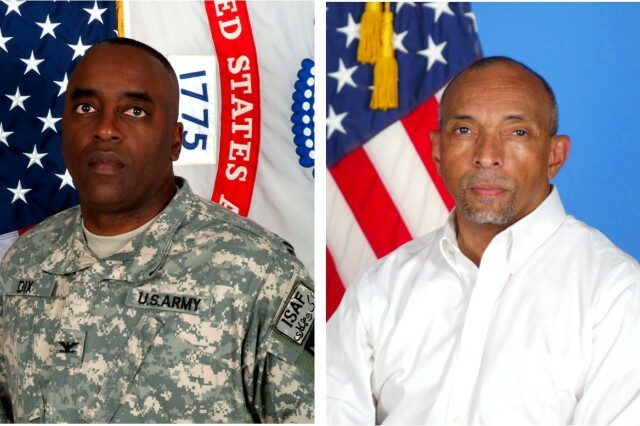 ROCK ISLAND ARSENAL, Ill. -- The Army Sustainment Command has announced its first-ever recipients of its Equal Employment Opportunity Champion of the Year Award. 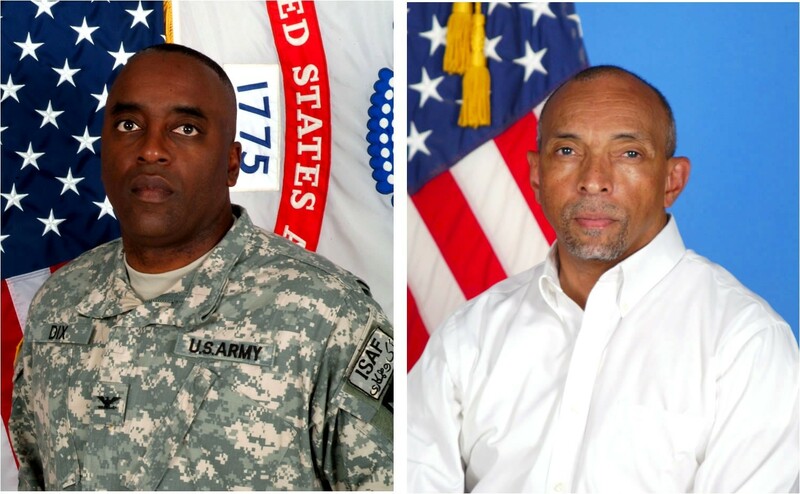 Col. Richard Dix, former ASC chief of staff, was nominated for the Continental United States and Arnold Pindle, deputy to the commander, 404th Army Field Support Brigade, Joint Base Lewis-McChord, Wash., was selected for Outside CONUS, the command's EEO office said. Dix is now the executive officer, G-4 (Logistics), deputy chief of staff, Headquarters, Department of the Army at the Pentagon. He previously served as the ASC chief of staff from September 2010 through July 2012. Pindle arrived at the 404th AFSB in December 2011 after serving as the deputy to the commander, 402nd AFSB, Iraq and Kuwait, from October 2009 through November 2011. The period of consideration was May 1, 2011, through April 30, 2012. The ASC EEO Office developed this award to recognize employees and supervisors for their commitment and efforts to support EEO programs throughout all levels of ASC, said Gayla Pacheco, chief, ASC EEO office. ASC's winners received a Two-Star Note from the commanding general, a CG coin, and a crystal plaque. Nominees must show a summary of contributions that maintain the principles of equal opportunity and exhibit leadership qualities that result in notable contributions to the cause of social justice and equal rights, Pacheco said. -- Promote an inclusive workplace and/or learning community free from harassment, retaliation, and discrimination. -- Exhibit leadership qualities which result in notable contributions of the cause of rights and demonstrate commitment to the principles of equal opportunity. -- Take action above and beyond Americans with Disabilities Act requirements to help raise awareness and improve sensitivity to individuals with disabilities. -- Go beyond the requirements of job responsibilities in order to advance understanding of and/or improve the climate of ASC for underrepresented groups. -- Have the courage to speak up about issues of inequality even if a lone voice, and continue to keep these issues alive in order to encourage change in the workplace. -- Enthusiastically and actively collaborate with Headquarters ASC EEO to implement the ASC's affirmative action program. In Dix's nomination, it stated in part: "From the time of his arrival, he has been the undeniable force providing oversight and motivation to employees, while enlisting their support to perform the missions that improved programs in support of a global workforce of over 73,000 personnel located in nine countries and 23 states, including combat theaters of operations in Iraq and Afghanistan." It also stated: "Colonel Dix conducted Chief of Staff operations under an "Open Door" policy where employees could address their personal and professional concerns without fear of retribution. He has worked hard to make all employees feel that they had a voice in the activities of the Command." Regarding Pindle, his nomination was based on his time as the deputy to the commander of the 402nd Army Field Support Brigade as it transitioned from Iraq into Kuwait. It stated in part: "During times when the stress of the organization was at its peak, Mr. Pindle demonstrated commitment with his ability to enhance and encourage communication among employees and management officials resulting in the resolution of numerous and undocumented instances of resolved disputes. Mr. Pindle was supportive to employees dealing with issues that were confrontational to their immediate supervisors by utilizing an open door policy to listen and understand the underlying problems that employees brought forth." It also stated: "Mr. Pindle applied the considerations of Equal Employment Opportunity to expand the 402nd in a more diverse workforce that created an organization that reflected the society in which we live and made working decisions that were fair for everyone…Mr. Pindle fully supported Equal Employment Opportunity and he encouraged supervisors to maintain a professional demeanor when challenged with EEO allegations..."
Regarding future competitions, previous winners will not be excluded. However, any subsequent consideration must be based on different contributions.